Hello! Welcome to 2016! I hope you're enjoying the beginning of your year so far. It is quite the beauty :). Let's take a look inside into how I set it up! 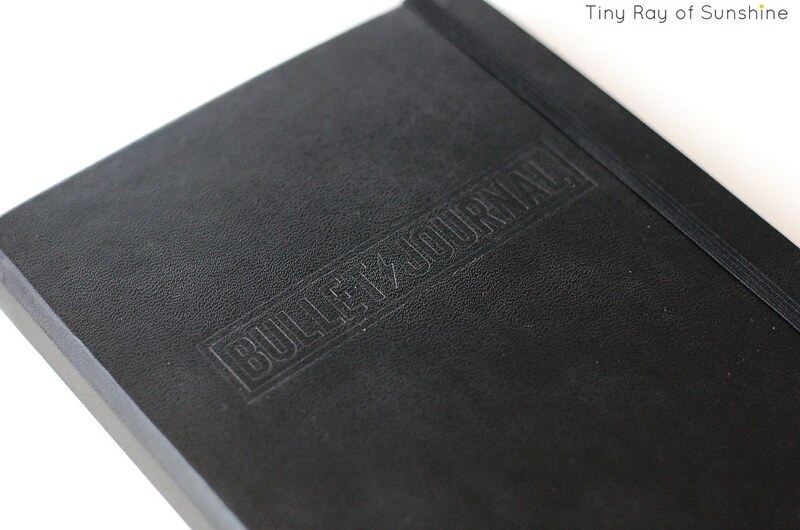 When you first open the notebook, you'll notice a key with some space to add your own bullets and signifiers. I added my mailing address after taking this shot. After that is a Tips page. This will be handy page I'll refer to time and again, I'm sure. All of last year I focused on experimenting and reviewing and paring down my system to make it into the system I need it to be. I still continually tweak things all of the time. That's part of the beauty and fun of this system. It can be anything and everything you want it to be with blank pages as a fresh canvas for your imagination. Here is my index so far. 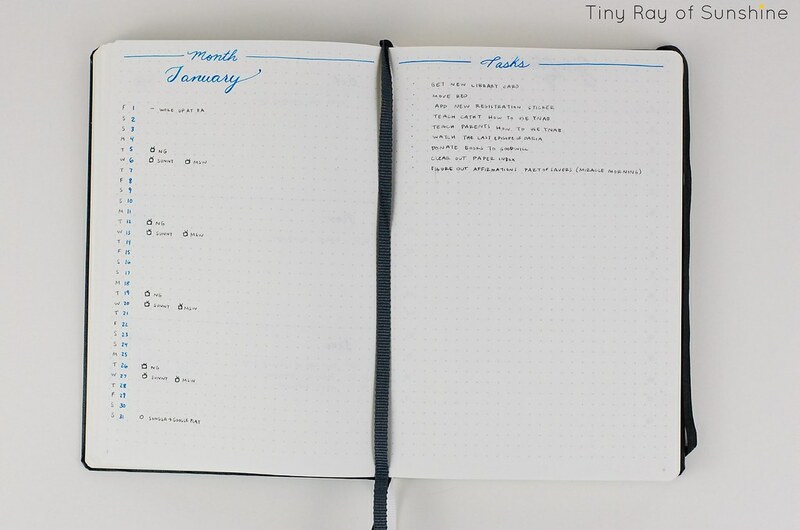 Since it's a new year with the fresh Bullet Journal, I added some collections I'll refer to over the year and use notebook threading if I need to. I set them as I think of them, which is what I recommend if you're starting out. 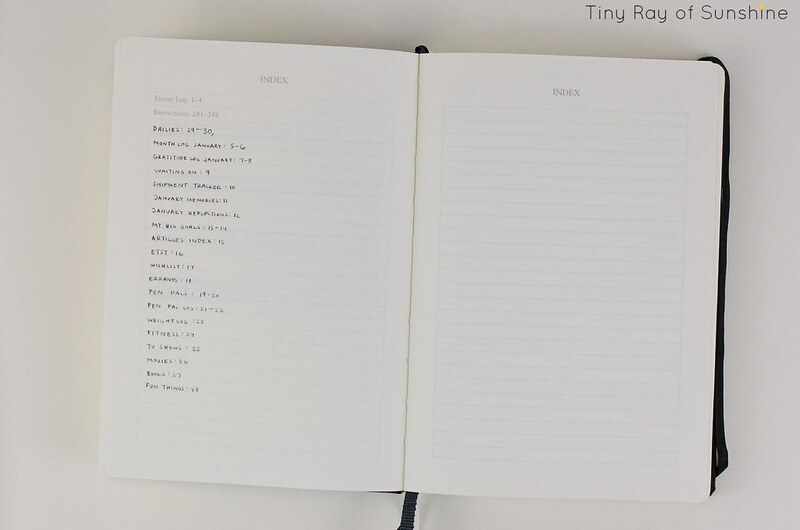 This special notebook has 4 pages for the index. Regular Leuchtturms only have 3. I really like the future log as Ryder shared on his blog. 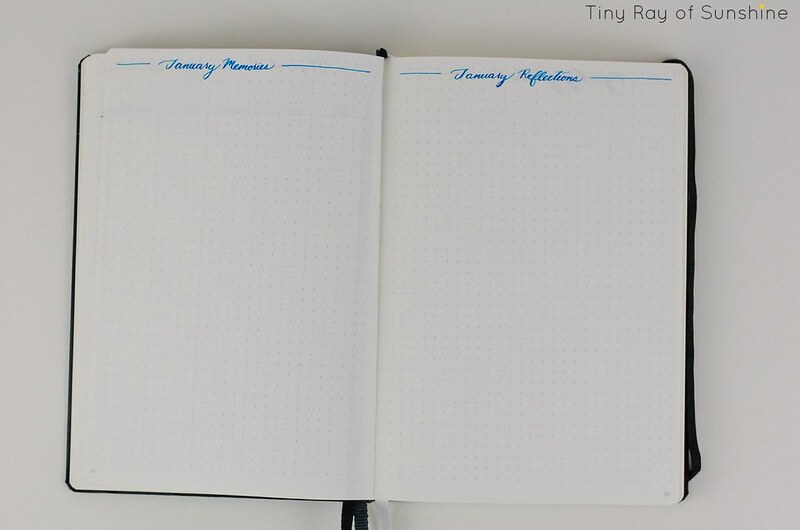 In honor of using the official Bullet Journal Leuchtturm1917, I'm going to keep a lot of the same elements. I love going back to basics, it is what works and what I find beautifully enjoyable. 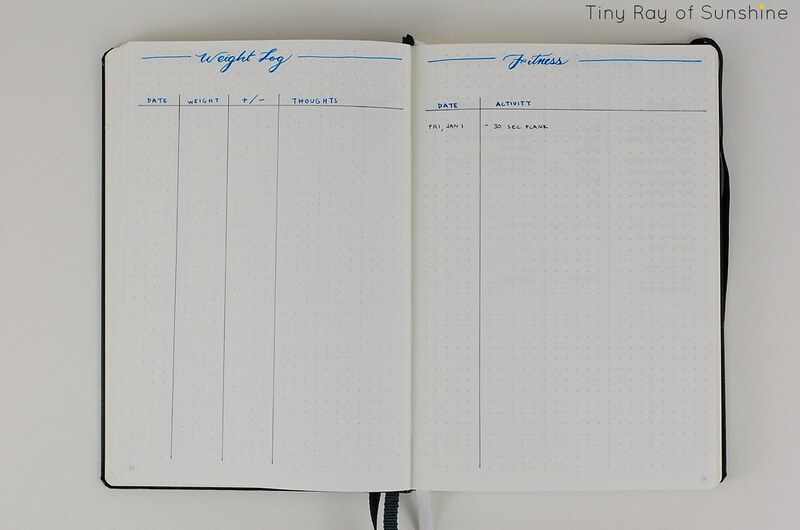 The official Bullet Journal Leuchtturm1917 has 2 spreads for the future log, which is pretty handy to have all 12 months laid out like this. I use the month log to write down some events that are coming up as well as log notable things that happened or that I want to keep track of. After the month log I set up a few different collections to house different topics. You can add collections as you go along, I tend to do that and I also add some at the beginning before the daily logs. 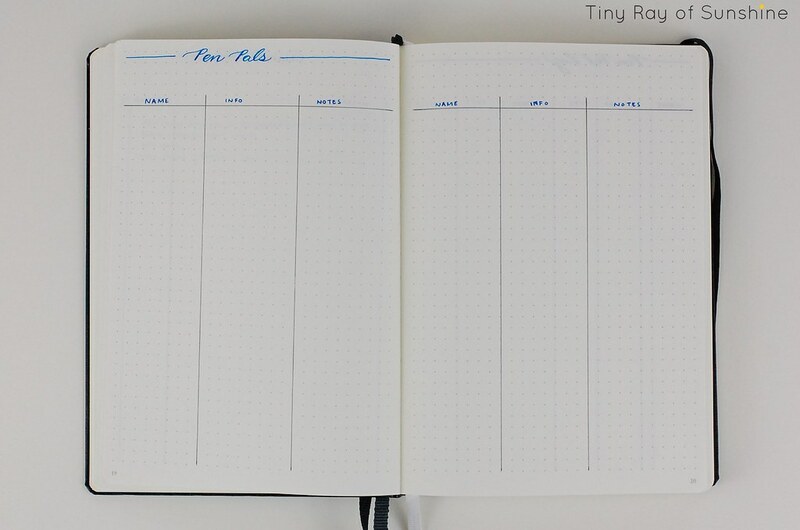 This is where I keep the first ribbon so I can flip to it easily at the beginning of each day to glance at what I have going on and to grab a few tasks from the month log to work on in my daily log. 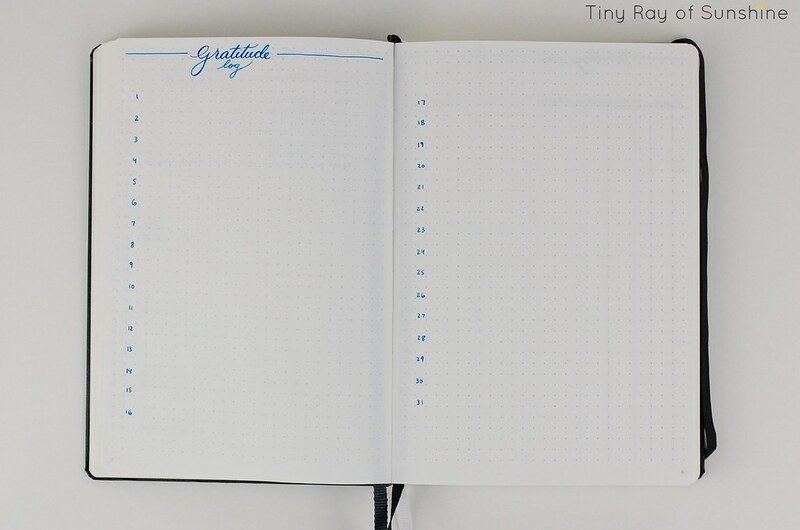 I liked Kara's idea to pare down the gratitude log to a spread by only logging 2 things per day so I'm trying it out as well. Waiting On & Shipment Tracker. The waiting log is something I devised to keep track of when I'm waiting on a response from someone. You can read more about it here. The shipment tracker is to track shipments from Amazon or other online stores. This is where I keep the second ribbon to easily flip to when I need to record who I'm waiting on or if I have an order to log/update. January Memories & January Reflections. I really love how Dee makes a beautiful typography memory bank as a way to visualize how her month was. I love lettering, so this is something I'm excited about incorporating this month. The reflection part is in lieu of the 'wins' and 'lessons learned' logs I had. Here I'll place any thoughts about the month as it goes on about what I'm proud of or things I'm realizing or anything else that comes to mind. 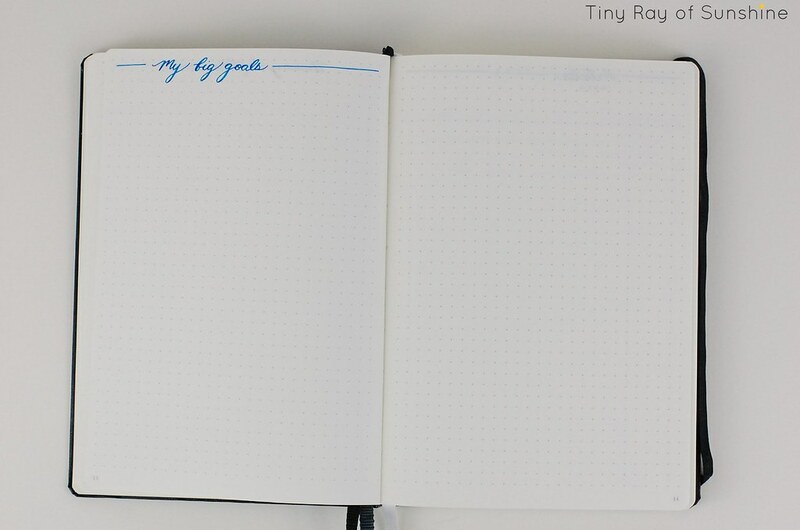 I'm going to add words and sketches of the big goals I want to achieve this year. I'll refer back to this collection throughout the year. 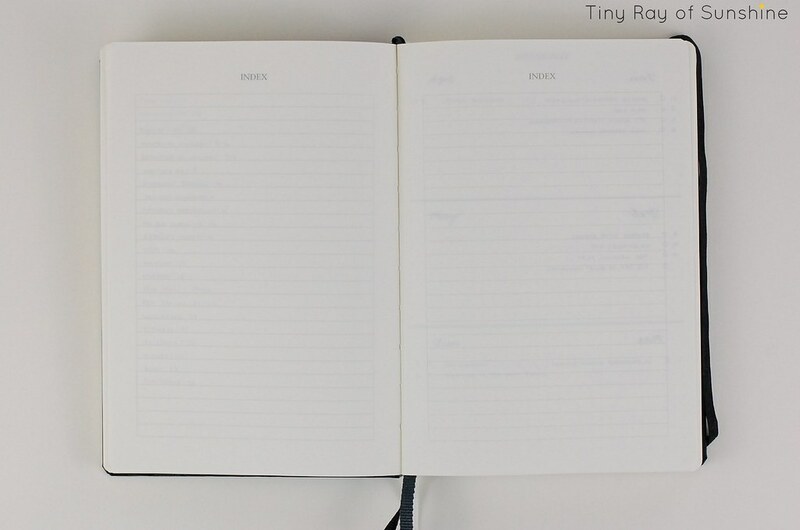 The articles index is a collection to keep track of articles I'm working on within the notebook. 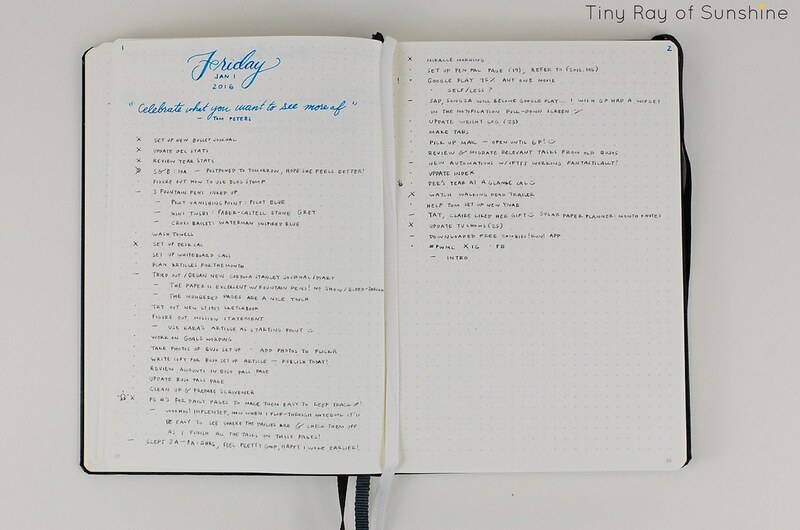 I use a collection to keep track of notes and action steps for every article I'm working on that way when I'm working on an article (such as this one) I can keep track of what I need to focus on and include. I'll check them off here to indicate that I have completed the article. The Etsy page works in the same way. 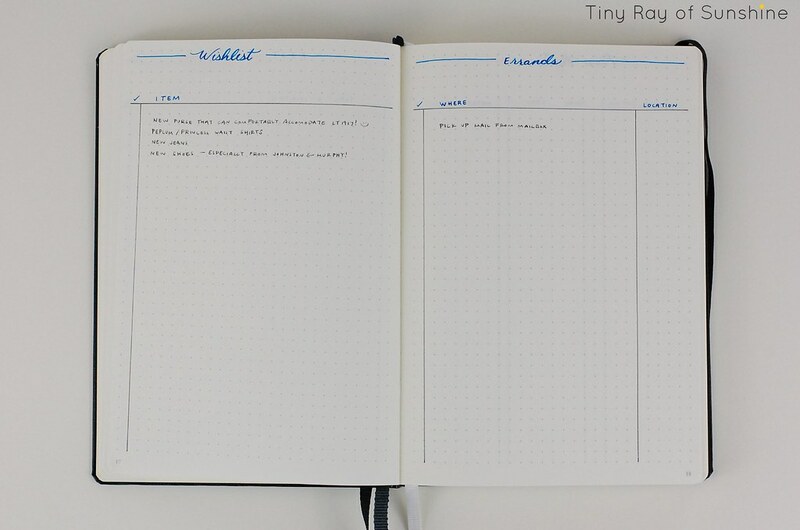 The wishlist is a collection I do once a year in only one Bullet Journal. 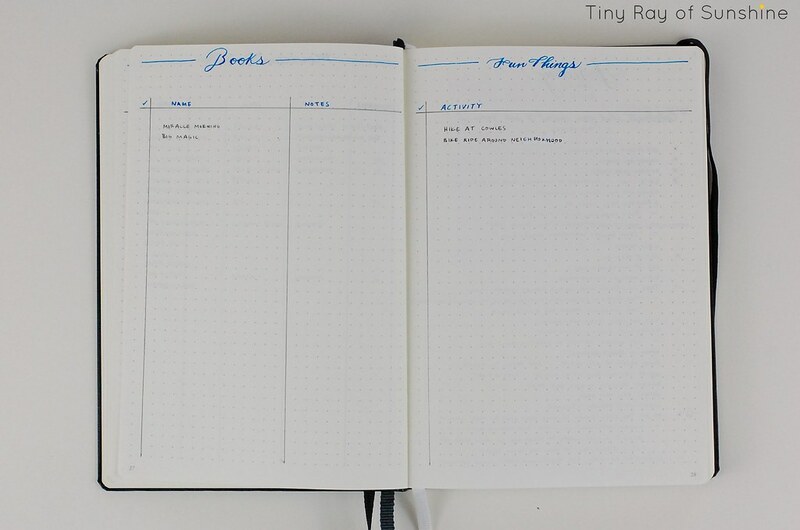 I find I don't usually have very many things in any given wishlist, so it doesn't make sense to rewrite it in every Bullet Journal, but I do find it helpful to create a fresh one each year to update it accordingly. This year I need a new wardrobe, I donated the bulk of my wardrobe when I was in a KonMari kick to declutter all of the clothes that didn't 'spark joy' which left me with a small wardrobe. At least what I have does 'spark joy' but I'd like to have more nice clothes because I'm a human and I'm allowed to want new things! The errands collection also works an index of sorts. 'Where' refers to the store or place of business I need to visit, 'location' means the page number it is located...I named it as such because I might write down my errands list in my pocket notebook that I toss in my purse, in which case I would use notebook threading. Notes: likes, interests, favorite color, a little bit of info on them. Each page is a standalone collection. 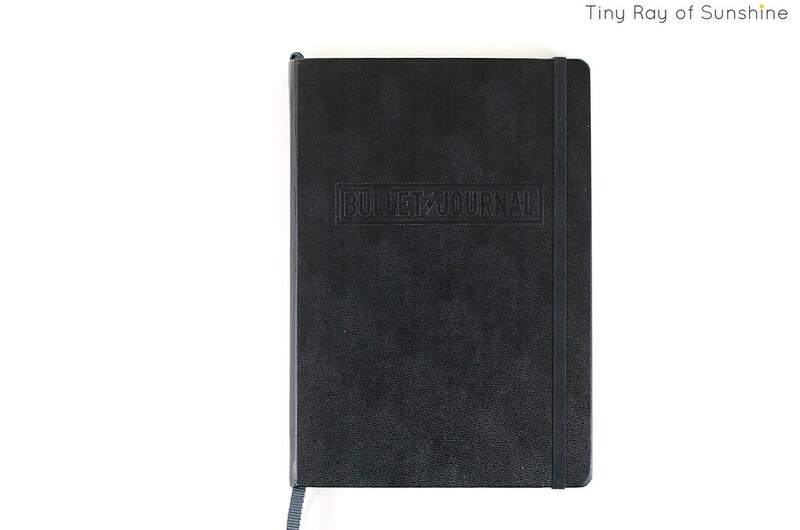 This collection is meant only to house information about my pen pals. It's helpful for when I'm sending a letter and need to grab my pen pal's address, I can flip here and send the letter off. Type: letter, card, or package. Responded: date I sent mail in response. Type: did I send a letter, card, or package? Notes: contents of the mail I sent. Cost: how much was it to ship? This is to keep track of pen paling within my budget. One of my goals is to drop a few pounds I put on in the last few years. I'm happy with my appearance, I've never really been one to obsess about my weight, but I'd like to fit into my clothes a bit nicer and seeing numbers motivates me so here is what I came up with. Date: date I weighed myself. +/-: did I gain or lose weight and by how much in comparison to the last entry. Thoughts: what I think about what I just logged in the other columns. This is a way to reflect and take a moment to celebrate or step back and see what I need to adjust. A small amount of space forces me to keep it short and meaningful. The fitness log is a way to track when I exercised and what I did. 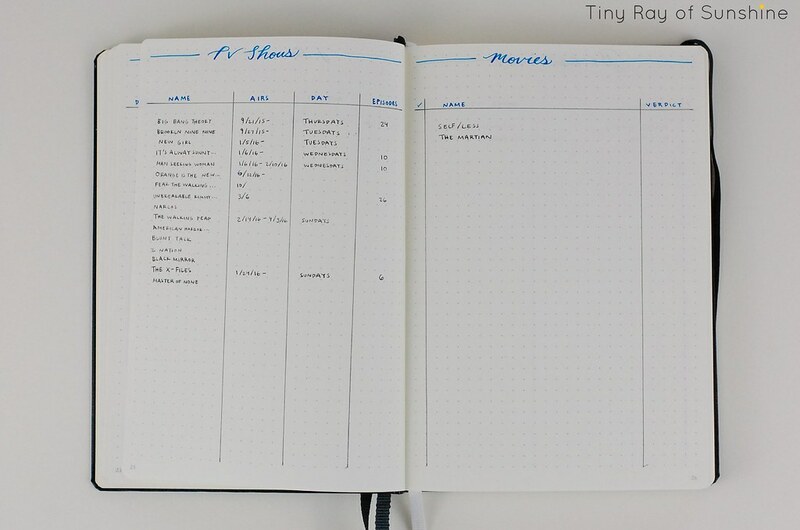 It's a little backwards from having a plan, but sometimes you just need to do things and then log them afterwards to help you become aware of your actual behavior. I'm starting small, but hey, progress is progress! These are a couple of fun entertainment collections. I'm sure these are pretty explanatory by studying the photos for a bit. I will explain a bit about the movies' 'verdict' column, though. This column has 5 spaces, so I can either shade in the boxes in a 5-star rating type of scale or I can say whether I enjoyed it or not. 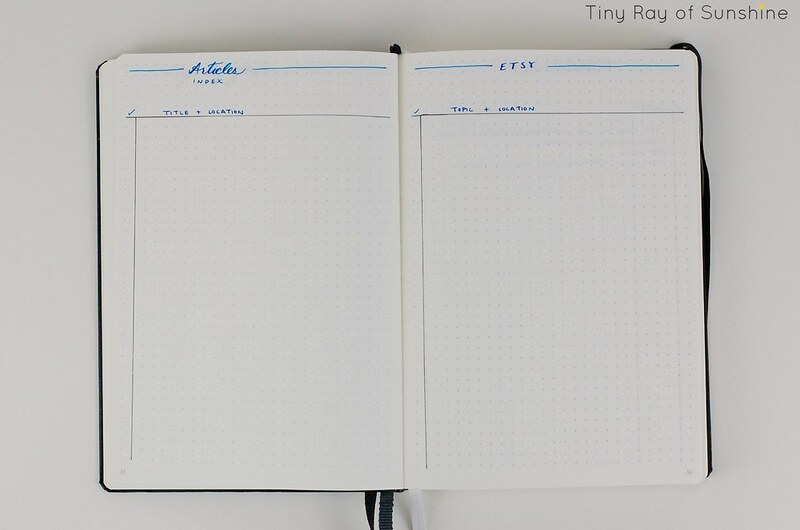 Books I want to read and a note to myself with a snippet of text or a type of threading to indicate where I took notes (if I took notes). Fun things is a way to get me off social media to do things I enjoy. I'll also be adding fun artistic things such as sketching, calligraphy practice, going on a photography date...ah, it all sounds so awesome! 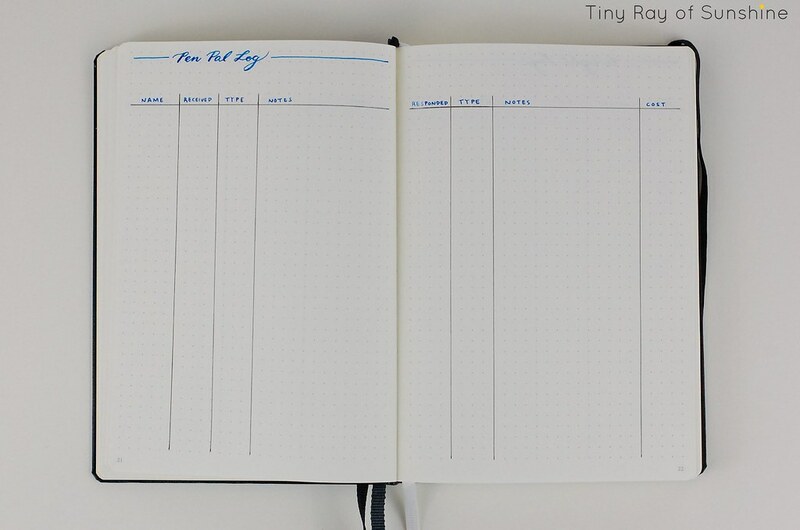 Now for the first daily log of the year! 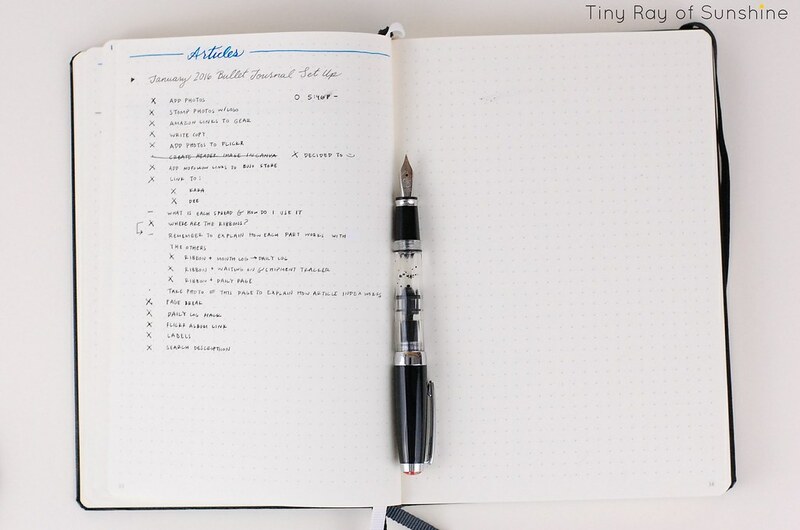 A bit of an exciting change I'm doing this year is using a fountain pen as an everyday writing pen in my Bullet Journal instead of a gel pen. I fell in love with the mini TWSBI I received as a Christmas present and I look forward to using it to write all the things! It is such a dream to write with. I might love it just as much, if not more than, my precious Pilot Vanishing Point. I also love the grey ink I'm using with it. I'm grateful Leuchtturm1917 notebooks can handle fountain pens well. Anyways, enough about pens...for now. 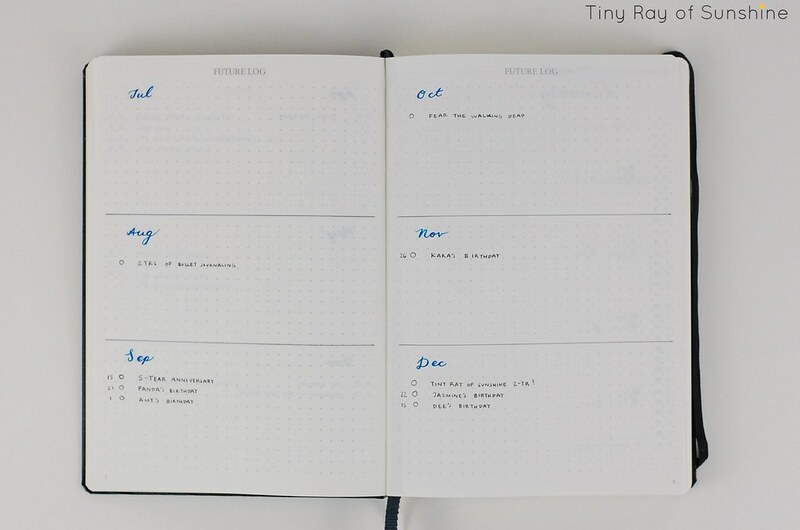 If you look closely, you'll notice a little hack, I mean page numbers, at the top of these dailies, the reason for that is to keep the dailies numbered, this way I can keep track of where the dailies are when I'm looking for open tasks in previous days. Last month I tried not migrating on a daily basis and it made my productivity soar. What this means is that I make a new daily list every day and I write down anything that comes to mind as per rapid-logging guidelines. Then, throughout the day I'll work on this list and I'll also flip back through previous days' pages and work on open tasks. I may rewrite some tasks into today's page, if I do I don't bother with adding a migration symbol to previous days' tasks. You can, though, if you would like. The awesome thing about the bullets is that if you mark a task as migrated ">," and then later on you flip through old daily logs and you notice that you've completed this task you migrated, you can turn it into an "X" to mark it as done! This is awesome because this way you are able to see more done tasks than migrated. Over time, you'll get to see how many tasks you're checking off that you completed days later, it's awesome! You might want to re-read that last paragraph. Yeah, you definitely want to re-read it, I'm sure it'll blow your mind. TWSBI Mini Fountain Pen (fine nib) as an everyday writing pen. It writes so beautifully and I'm obsessed with it. I wouldn't recommend this to a beginner, because you need to buy ink for it to work and if you've never used a fountain pen, you might not know if you like to write with them or not. That said, if you have at least tried one and enjoy writing with them, I HIGHLY recommend a TWSBI. This is my first experience with one and I absolutely LOVE it. Faber-Castell Stone Grey ink is what I have the TWSBI inked up with, it is so dreamy! Love it. Cross Bailey Fountain Pen (medium nib) as an accent pen. This was my very first 'real' fountain pen experience (after a disposable Pilot Varsity fountain pen). I enjoy writing with it, my other fountain pen (Pilot Vanishing Point) is currently inked up, so I had the chance to bring the Bailey back into rotation. 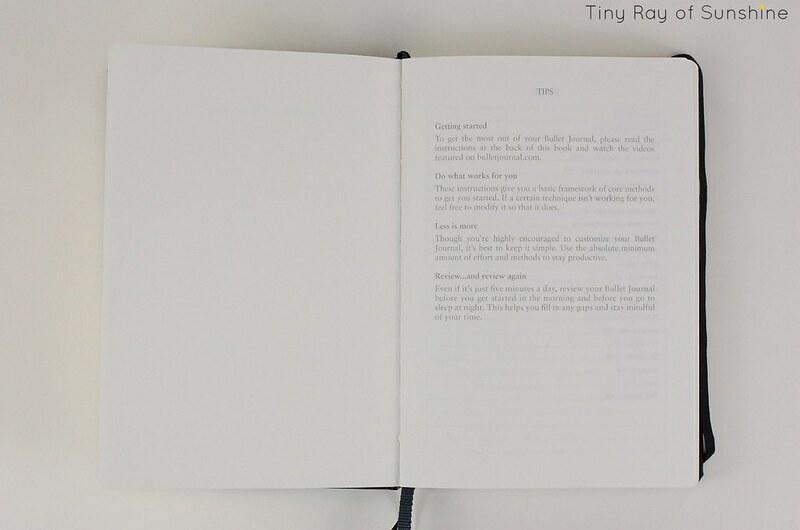 It is filled with the beautiful blue ink you see across the pages. 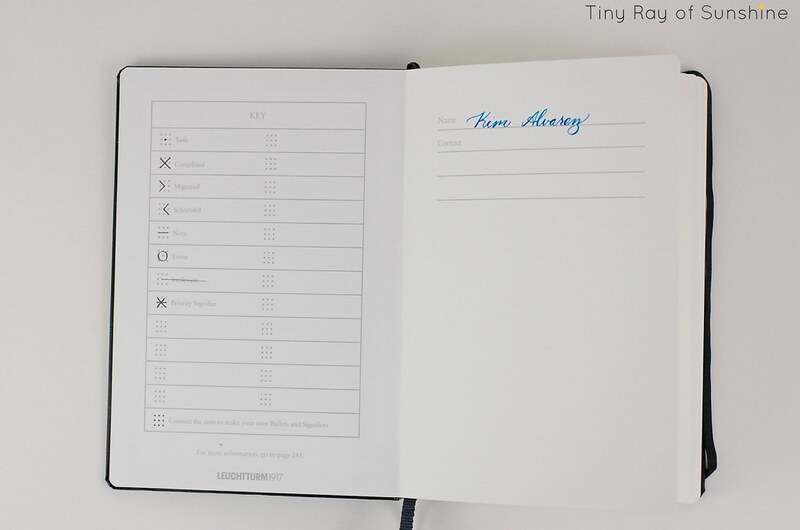 Waterman Inspired Blue ink is the gorgeous blue you see across the top of all of these pages. It has fantastic shading and I love how it gives each page a defined purpose. 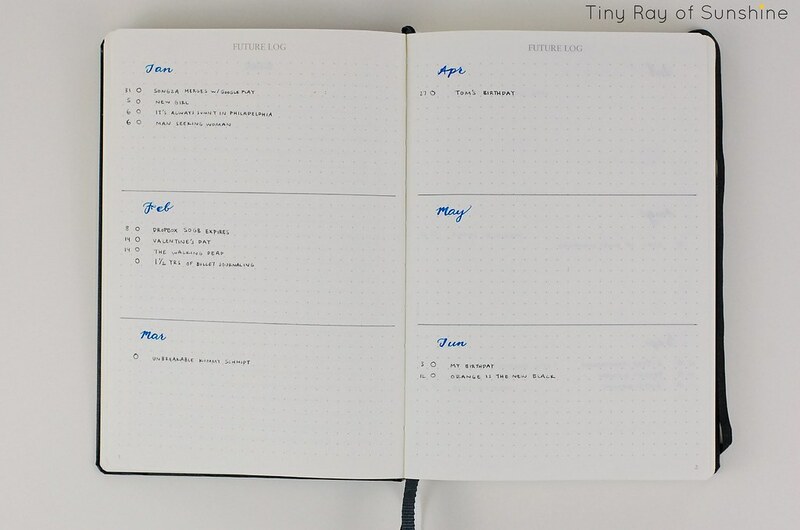 Mini & Regular Rulers to draw the grey lines (the blue were free hand). 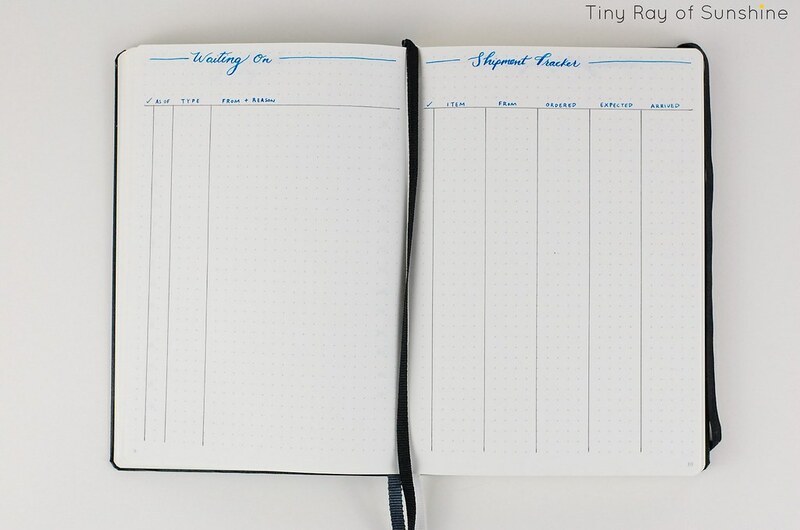 I use the mini for horizontal lines across the page and the regular ruler for lines down the page. Tombow Correction Tape is awesome. I make mistakes here and there and I find white-out to be a simple solution. Have you set yours up yet? You can check out the beautiful Flickr album of these photos to zoom in for more detail if you'd like here.